For men diagnosed with prostate disease, the first question posed may be: "Can you die from prostate cancer?" Early detection is critical: The survival rate declines the later the cancer is diagnosed. Can you die from prostate cancer? Yes, but it's true that more men die with prostate cancer than from it. Before widespread prostate cancer screening began in the late 1980s, many men newly diagnosed with the disease had advanced cancer that had spread beyond the prostate. Today, in the screening era, most men with the disease are diagnosed when their cancer is in an earlier, more curable stage. But, even with today’s screening strategies, can you die from prostate cancer? The answer is yes, especially if you allow the disease to grow undetected without a proper diagnosis and treatment. While prostate cancer usually develops slowly and isn’t immediately life threatening, in some men it can grow aggressively and become lethal. For these men, early detection of prostate cancer may mean the difference between life and death. Although the prostate cancer survival rate has improved over the years, nearly 27,000 men still died from the disease in 2017, and the 2018 numbers were higher: more than 29,000, according to American Cancer Society (ACS) estimates. Prostate cancer remains the third-deadliest cancer among men (after lung and colorectal cancers). However, it’s important to keep fears about prostate cancer in perspective. Namely, it is one of the most survivable cancers. About one in seven men will be diagnosed with prostate cancer sometime during his lifetime, but only one in 39 will die from it, according to the ACS. In short, you are far more likely to die with prostate cancer than from it. It can take 10 to 20 years for a prostate cancer, diagnosed when it is still small and contained in the gland, to grow serious enough to cause symptoms or threaten your life. Because the cancer often grows slowly and strikes mostly older men near the end of their natural life expectancy, many simply die from something else long before the cancer requires treatment. Recent statistics from the American Cancer Society show that the five-, 10-, and 15-year survival rates for men with all stages of prostate cancer are 99, 98, and 96 percent, respectively. Like any cancer, the prognosis for prostate cancer worsens if it’s allowed to grow to a more advanced stage. According to the ACS, the relative five-year survival rate for men with localized prostate cancer (disease that is confined to the prostate gland) is nearly 100 percent. The relative survival rate is the same for men with regional-stage prostate cancer, meaning the disease has spread from the prostate to adjacent tissues, such as the seminal vesicles. However, the five-year survival rate drops to 29 percent for advanced prostate cancer that has spread to other organs, bones, or distant lymph nodes, the ACS notes. Fortunately, today the vast majority of all prostate cancers are found when they are still in their local stages, largely due to widespread screening efforts. Because the primary screening method is a simple blood test, screening for prostate cancer may seem like a no-brainer, but it’s more complicated than that. That’s because evidence of whether the prostate specific antigen (PSA) screening test saves lives is conflicting. Some research suggests that routine PSA testing identifies too many harmless, slow-growing cancers, leading to unnecessary prostate biopsies and treatment that can cause significant urinary and sexual side effects. Complicating the issue is research indicating that the screening test misses many aggressive cancers. Conversely, other studies have shown a benefit of screening in reducing the risk of dying from prostate cancer. American Cancer Society: Men at average risk of prostate cancer with at least a 10-year life expectancy should begin discussions about prostate cancer screening at age 50 (age 45 for higher-risk men, such as African Americans and those with a father or brother who had prostate cancer before age 65). American College of Physicians: Men between the ages of 50 and 69 should discuss the risks and benefits of screening with their doctor. Screening is not recommended for average-risk men younger than age 50, older than age 69, or with a life expectancy of less than 10 to 15 years. 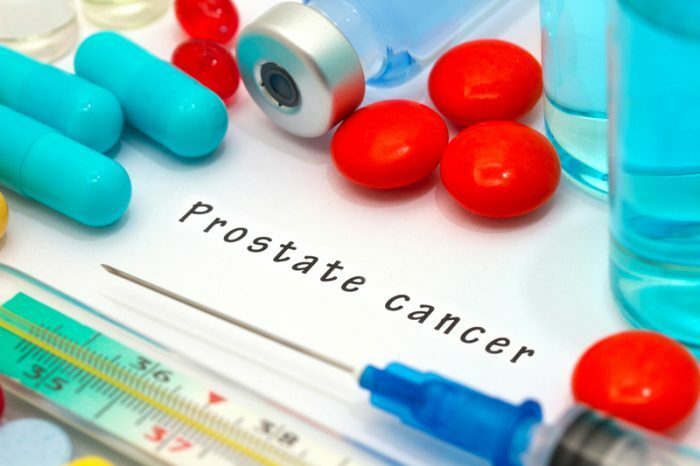 American Urological Association: Men ages 55 to 69 should make an individualized decision about prostate cancer screening after a careful discussion with their physicians about the risks and benefits (higher-risk men may benefit from screening before age 55). Routine screening is not recommended for men younger than age 40, those ages 40 to 54 at average risk of prostate cancer, men older than age 70, or those with less than a 10- to 15-year life expectancy. National Comprehensive Cancer Network: Men with at least a 10-year life expectancy should begin discussions about screening at age 45. Screening may be done with caution in very healthy men over age 75. U.S. Preventive Services Task Force: A 2018 recommendation notes that men ages 55 to 69 should discuss the pros and cons of PSA screening with their physicians. Screening is not recommended for men age 70 and older. 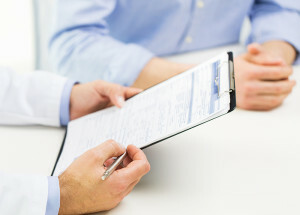 Talk with your doctor about the pros and cons of prostate cancer screening as well as newer, more advanced testing that can augment the PSA exam and improve your prostate cancer risk assessment. about prostate cancer, advanced prostate cancer, cancer, cancer diagnosis, cancer risk, cancer screening, cancer statistics, cancer survival, cancers, colorectal, Prostate, prostate cancer, prostate cancer diagnosis, prostate cancer meaning, prostate cancer risk, prostate cancer screening, prostate cancer survival, prostate cancer survival rate, prostate gland, prostate specific antigen, psa, psa exam, psa screening, psa testing, risk of prostate cancer, screening for prostate cancer, side effects. I thought you might be interested in this article on https://universityhealthnews.com: Can You Die from Prostate Cancer?